Phil Thompson and Matt Le Tissier have both selected Sadio Mane as the best signing of the summer. Our Senegalese flyer has been jaw-droppingly impressive, in truth. He bagged on debut against Arsenal and has provided a rapid, dynamic option down the right wing. 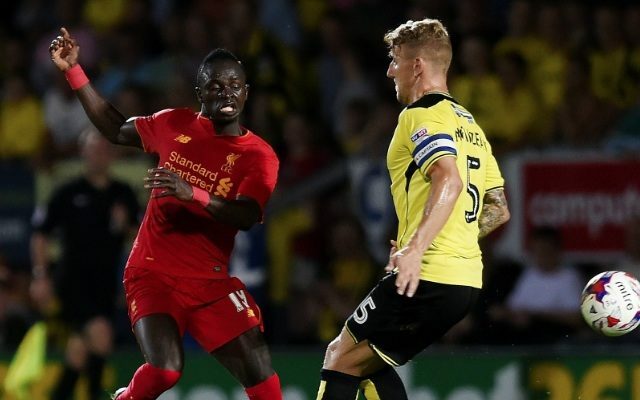 At the time, the £30m+ fee for the 24-year-old looked a risk, but Mane has silenced any doubters with his blistering performances in red to date. “If you’re looking at a player who has transformed a side and injected what they needed then it’s Sadio Mane,” our former skipper and assistant manager Thompson told Sky Sports. “People talk about this Liverpool team suddenly challenging for the title but what’s the difference really been? I think it’s all about Mane and the pace he has injected. “It is the one thing this Liverpool team lacked. Roberto Firmino, Philippe Coutinho and Adam Lallana have all been great but they were all there last year and he’s brought the best out of them. “His pace to drag defenders back allows these players play and I think he’s had a massive impact. In a footballing sense, this guy does everything at 100 miles per hour. Le Tissier was approaching the subject from a different angle, being a Southampton supporter. He Begrudgingly admitted that his side’s former attacker has been outstanding, but warned Liverpool fans that Mane did have a tendency to go missing on occasion. “As much as it hurts me, I’d have to go with Mane as well. He has been outstanding in his first few games at Liverpool,” began Le Tissier. “I think him and Adam Lallana were the two most painful to lose as I enjoyed watching them. They’re the guys that get you on the edge of your seat and are who the fans pay the money to watch.